The District of West Vancouver has taken steps toward making all its facilities accessible to people of differing abilities. All levels of the West Vancouver Municipal Hall are accessible by elevator, and washrooms on the lower level are wheelchair-accessible. The District has more work to do in terms of making the municipal hall more accessible for people with visual and hearing impairments. All of our cultural facilities offer parking for people with disabilities, and the Silk Purse, Ferry Building Gallery, and John Lawson Studios are accessible on the lower floor. Our community centres and recreation facilities offer many accessibility features. The West Vancouver Memorial Library has had extensive renovations to make all levels of the facility wheelchair-accessible and offers power-assisted entrance doors. The library offers Talking Book programs for people who are unable to read print material due to visual, physical or cognitive disabilities, and large print books too. Adaptive technologies include high-contrast keyboards and screen magnifiers are available. The library’s Welsh Hall meeting room is equipped with hearing loops for those with hearing aids, and headsets for those without hearing aids. extended pedestrian crossing time for slower movers. If you are a person with a disability, the Leisure Access Card makes it easier for you to use our programs and services with support. You can also meet with a District staff person to discuss adaptations or ideas for making your experience with us better. The application is mandatory for participants over the age of seven who use our facilities more than once with a support worker. Our specialized programs give you or your family member or friend opportunities to recreate. We have a special swim time that lets you enjoy the freedom of the water. The pool is equipped with lift/swing systems, adjustable beds and a pool cart for use in our wheelchair-accessible change rooms. Ask at the front desk. Karate is a great form of exercise for anyone, including kids with physical disabilities. We offer a course for children aged seven years and older, and another for youth 13 years and older, that focuses on mental discipline, adaptability, self-defense and strength from accomplishment. For youth, we offer a social skills program for youth with development disabilities, adapted yoga that focuses on pain management issues and improving strenth and flexibility. For adults, we offer courses in karate, therapeutic yoga, and arthrocize (water exercise). We have special exercise and movement programs for people who have had joint replacements and heart issues, and for people who have osteoporosis. Ambleside Park Child Care Centre offers Accessibility: ramp, accessible washroom, accessible playground and one reserved handicapped parking stall. Gordon House Child Care Centre offers an accessibility ramp, accessible washroom and an accessible playground. Summer Camps run in July and August, and the philosophy of inclusion prioritizes finding ways to help all children have fun with their peers and to participate to the best of their ability in camp activities. To achieve this, day camps are supported by an Access Services Coordinator who trains and works with Access Support Workers and youth volunteers who offer support to children with challenges. Once an application for support is completed, there is an assessment interview with staff, parents, and child to determine the appropriate level of support to provide a successful camping experience. Spaces fill up quickly. A maximum of two weeks of support will be provided to each child but cannot be confirmed until June 30. Book an appointment at least a week before your child’s camp begins with the Access Coordinator to introduce your child to the Access Support Worker and to discuss specific support needs while at camp. If your child receives extra supports at home or at school, please expect that the same level of support will be needed in summer day camps in order for your child’s camp experience to be safe, successful and fun. Inclusion applications will be managed on a first-come basis, with priority given to West Vancouver residents. Due to high demand, a maximum of two weeks of support will be provided. Families with children who require a high, and/or complex levels of support (e.g. personal care, behavioural support, management of medical conditions) may be asked to come with their own experienced support worker. Families are always welcome to bring their own support to any program. Please let us know if you are registering for a program and plan to bring your own support by calling 604-925-7279. Access and camp staff needs to be alerted in advance to make provisions for an extra body, especially if the program includes field trips. Please see Caregiver/Support Worker Responsibilities for further information about providing support in programs. All of our facilities, including West Vancouver Municipal Hall, offer dedicated parking stalls for people with disabilities who have a universal sticker displayed in their vehicles. The Recreation Financial Assistance Program minimizes financial barriers and encourages equal participation and access to all community center recreation and leisure services. For detailed requirements please refer to the Qualifying for Financial Assistance Program information handout. What are the benefits of the Recreation Financial Assistance Program? Note: birthday parties, personal training, fitness and nutrition assessments, consultations and screenings, text books, belt testing, exam fees, events, facility rentals, tables at craft fairs, admission fees on excursions and any private lessons required for a program, are ineligible for subsidy through RFAP. Other exclusions may apply. What are the steps to apply for the Recreation Financial Assistance Program? Complete a Recreation Financial Assistance Program application: get one from the Seniors’ Activity Centre, or the West Vancouver or Gleneagles Community Centre front desk or online. Review the Qualifying for Financial Assistance Program - Information Handout (Self-Assessment) to ensure you qualify, gather your documentation (as listed on the Self-Assessment) and book an appointment just like registering for any other program. Apply online at activewestvanrec.ca and type financial in the activities box, register in person at the front desk or call 604-925-7270 to schedule an interview. Bring your original documentation to a meeting with the Access Services staff, where staff will assess your eligibility for the RFAP. Original documents are required for the initial interview and for renewal appointments. These will be returned to you at the end of your appointment. Discounted student, family and seniors rates are available for designated drop-ins and memberships. View Passes and Admissions for more information about other low-cost programs. Free activities include an outdoor basketball court and table tennis at the West Vancouver Community Centre, tennis courts throughout West Vancouver, youth drop-in programs at Ambleside Youth Centre, West Vancouver Community Centre and Gleneagles Community Centre. 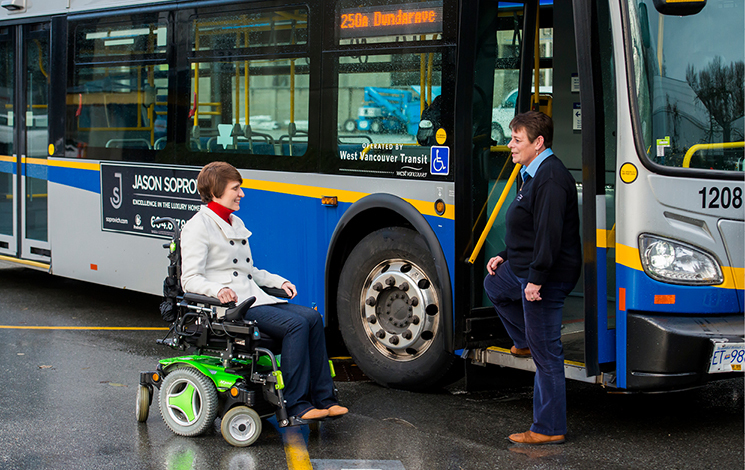 The District of West Vancouver is committed to implementing, maintaining and enhancing accessibility for all by demonstrating a leadership role in meeting the needs of all community members for whom accessibility is a concern. Our community centres have many features that make them accessible and inclusive for all. Check out our Community Centres pages for more information.